For all of you who have no idea about how it feels to be able to breathe under water, we offer a Try Dive in the pool every week. Every Wednesday and Saturday at 11:00am we have a Try Dive in our heated pool in the hotel MARITIM**** in Puerto de la Cruz in Tenerife. Please make reservations by phone or visit us in our office. Drop by and give scuba diving a try, if you sign up for a PADI Open Water Diver course after the Try Dive we will count the participation fee for 100% towards the course fees. 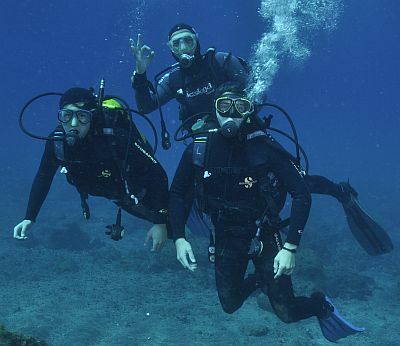 For guests of the hotel Maritim the try dive is free! If you like you may dive directly into the ocean or participate in a Discover Scuba Diving after a Try Dive in the pool. 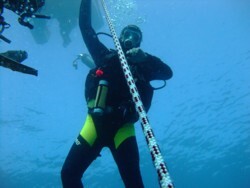 You will discover the ocean safely hand in hand with one of our experienced instructors. The program includes full rental of equipment, insurance, skill practise and a dive in the ocean to a depth of maximum 12 meters. Kids from the age of 8 years may start their scuba adventure in a PADI Bubblemaker in our heated pool. 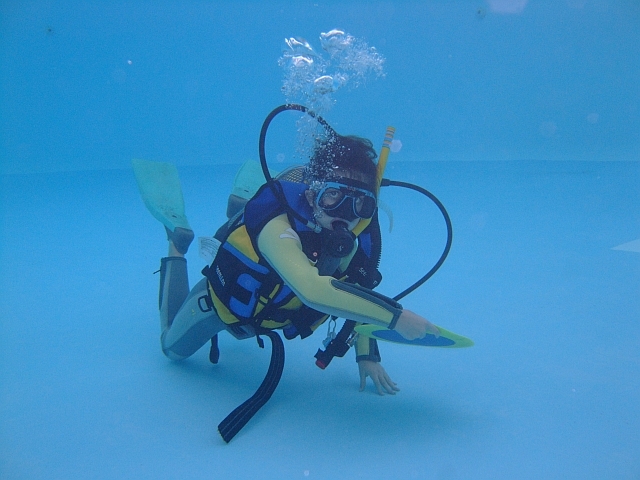 From the age of 10 years children may participate in scuba programs into the ocean. The PADI Junior Open Water Diver course is a full Open Water course with some limitations designed for the safety of kids. 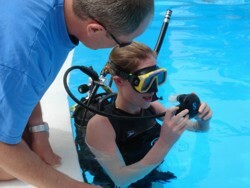 Beginner from 15 years to any age may learn howto scuba dive in a PADI Open Water Diver course. Within a minimum of 3 days you will learn scuba diving. Prerequisite is health and fitnes. Age is not important, our oldest Open Water student has been 80 years of age!